The key to a great hairstyle for fine hair is a good cut with the right length and proper styling aids that promote volume, shine and movement. Fine, straight hair shows scissor mark, so look for a good stylist with talent in precision cutting. Explore hair styles like layers and heavy bangs. They look very good on straight, fine hair with normal hair density and give the overall illusion of fuller hair. See some samples of layered hair styles that are suitable and works. When selecting a hair style, keep to shoulder-length or shorter cuts. Avoid styles that involve razor cuts, as they only make your hair look shredded. Unless your stylist is very experienced in razor cutting, that is. Avoid hair styles that require excessive blow drying as this tends to dry out your hair, makes it even more susceptible to breakage than it already is, and could even lead to dandruff or greasy hair as result. Keep upon managing your split ends as fine hair tends to split easily. If your hair density is lower than normal (thin) then you have less hair and you should try to avoid styles that involve excess layering or texturizing. Certain blunt haircuts with subtle or soft layers will look much better on you. Bob haircuts combined with shaggy styles will be a good starting point. (See some samples of bob hair styles.) 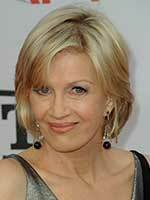 If you have soft, and naturally wavy hair then you can go for a short, layered hair style. This is a manageable style for wavy fine hair. 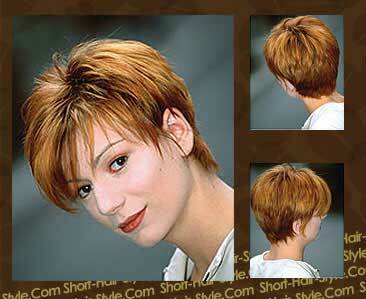 You can look for different haircuts and get inspiration in our style gallery. Most people find it easier to care for their fine hair when it's shorter but this is not THE Golden rule. Normally it's better not to let it beyond shoulder-length and trim them regularly to avoid split ends (that goes for any hair, but for fine hair it's a must). Let your hair grow as long as it looks healthy and manageable. In certain length it will start to go flat and when it does, it may be time to go for the chop. There are countless hair care products that are designed to add body, volume and the illusion of fullness to fine hair. Although the ingredients may vary, the end result is that these hair products are designed to adhere to the surface of your hair to create a thickening layer. Your needs for thickening products will increase as you grow them longer. If you want to keep your hair longer, then search for products that contain liquid keratin or silk protein as these substances penetrate hair shaft and also coat the surface of hair and provide a much stronger and firmer structure (in other words, it becomes thicker). Always use light conditioners and use less leave-in conditioners or intensive treatments. Make sure the product contains a powerful blend of proteins (help strengthen), ceramide (cuticle reinforcement) and other supporting ingredients like sucro-polymers. Have you ever tried hair styling mud or paste before? See this video tips on how to style very short fine hair. Don't forget to post a comment. This product by Nioxin is applied on hair root and scalp. It will coat the hair shaft and literally increase the diameter of each existing hair strand and make it manageable and resilience against hair breakage. In UK the product is called Diaboost. Diaboost and Diamax are same! Choose your hot styling tools like hair curler or flat iron with care. For thin fragile fine hair use those with adjustable temperature control and never use settings over 240-250 F (116-120 Celsius). Fine hair types are easy to shape with lower temperature and you won't need any higher settings. Choosing the right hairstyle products for fine hair will give the hair more shape and body. Keep your scalp in optimum condition by preventing build-up of oils and other products. If you don't, hair follicles become blocked and your hair cannot then be conditioned. A lack of conditioning (moisture) will create frizzy and dry hair. It will also limit the amount of hair that can grow, and it will start to decrease in density. I like to mention thinning hair because it often starts in this way, when hair follicles become clogged by dried oils, fatty acids and hair product build-up. Color is a great way to inject vitality and helps the hair appear fuller and thicker. You can ask your stylist for Semi-Permanent hair color treatment first. These type of hair color treatments normally last for 6-8 weeks. Color pigments partially penetrate the hair shaft but also coat the surface of hair and makes your hair strands thicker. For short haircuts, you can highlights or lowlights to add interest and tone. This will also give fine hair a soft texture and appearance of a lot more volume. For example, with under-color technique, stylist can place darker color on lower layer and lighter color on top layers to create more depth. I strongly recommend that you don't color your hair at home and get some expert advice on hair color. Fine hair is easy to damage or break and over the counter hair colors are formulated differently than professional colors and aren't always compatible with each other. Darker color underneath and lighter on top add depth and create illusion of thickness. TIPS: Parting and gentle back combing of few section with the support of root lifting products on crown can create a natural looking volume and body. All you need for a choppy volume is thickening hairspray. Spray into root of your hair and work it through with fingers. Crimp underneath layers and comb top layers over. Easy way to get volume you need!! How do you manage your fine hair? Share your hair story, ask question and tell us how you manage your fine hair? Did you find a new product or did you just opt for a new haircut that made it more manageable? Do you have a picture to add? Great! We love to see your style. Click the button and find it on your computer. Then select it. Short with layers, side bangs pack with natural texture. Darker color underneath and lighter on top add depth and create illusion of thickness. Fine Thin Straight Hair - Hair Cut Suggestions?